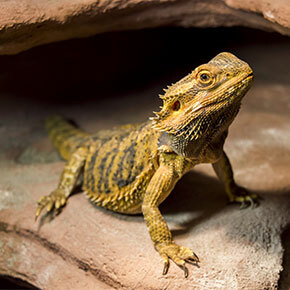 Winter brings a particular set of challenges for owners of exotic pets such as lizards, bearded dragons and snakes. These cold-blooded creatures rely on warmth from their habitat to regulate their body temperature and ensure proper digestion, immune function and metabolism. 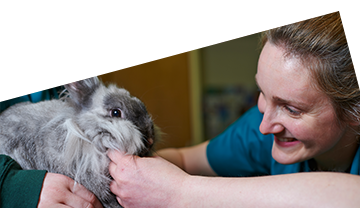 The following top tips from the team at All Creatures Healthcare should help you prepare your pet for when the temperature drops. 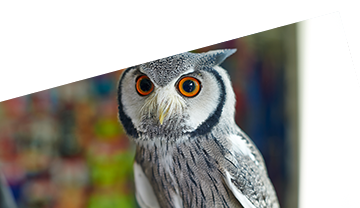 If you still have unanswered questions, our friendly team are always happy to advise you when you contact us. Even if your reptile doesn’t need extra heat during the warmer months, when the winter chills bite an over-the-tank heat bulb or under-the-tank heating pad might be needed. Reptiles also need ultraviolet light to help them produce vitamin D so they can properly absorb calcium and phosphorus from their food. As glass filters out UV rays, it’s no good just putting the tank near a window – you need a direct UV light on for up to 12 hours a day. 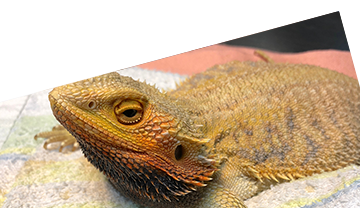 Exotics vet Stephanie suggests you contact the practice for advice on your own reptile’s specific needs. The composition of a reptile’s skin is such that it relies on the humidity of its surroundings to stay healthy and hydrated. Cold weather tends to dry out the atmosphere, so during this time you can give your pet a regular warm misting and provide a shallow bowl of water for it to bathe in. Reptiles shouldn’t be allowed to go into hibernation. They may do this in the wild to slow down their metabolism and conserve their energy in cold periods, but they are not actually sleeping – just very sluggish. As domestic pets they need to be kept in top condition year round, which is hopefully what these tips will help you achieve. These few simple steps should help your pet to have a warm and stress-free winter, but if you have any concerns at all, don’t hesitate to call us on 01603 89 89 84.